Quite an eventful week here. 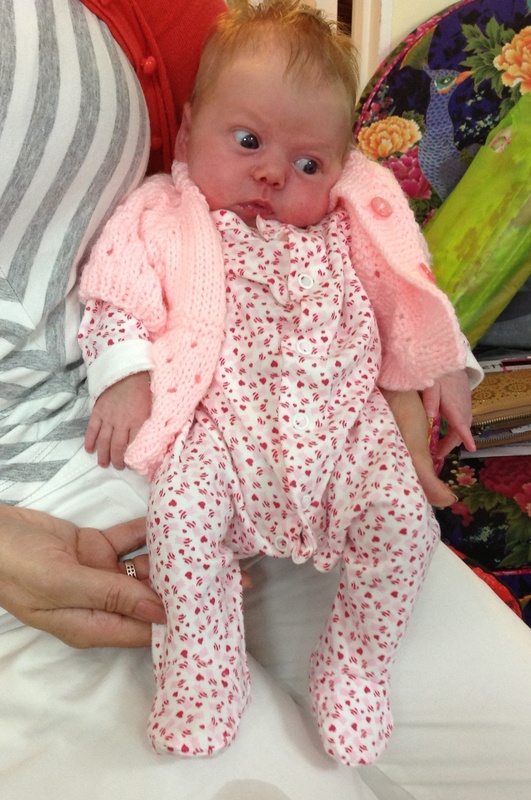 We had a special visit from Nicola and her lovely mum to introduce us to her beautiful daughter Isla Rose. She is such a bright eyed little baby and so small! She does look a bit surprised doesn’t she? The teenager-in-residence went to his first big concert this week. 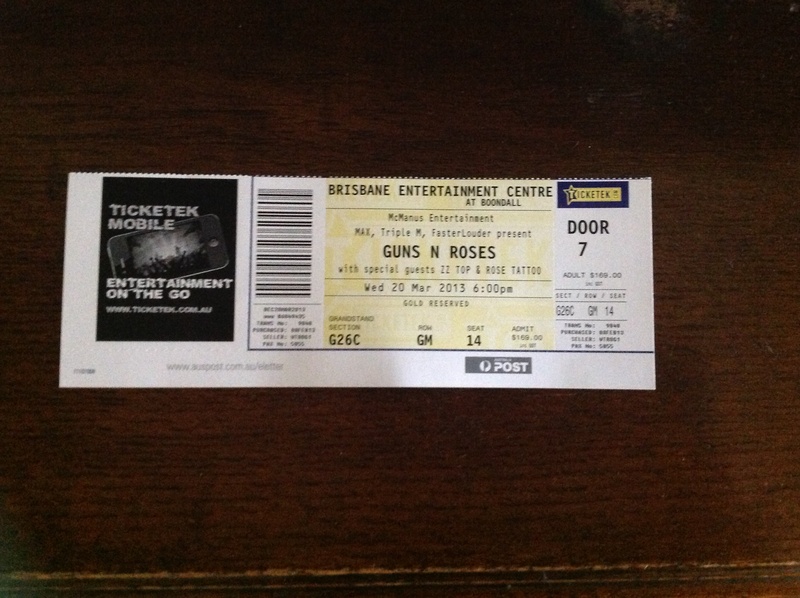 He has been a big fan of Mr Rose for some time now and was very excited to see the man in person. It reinforced his dream to be a rock star – ah to be 14 again with such preposterous dreams…….which brings me to today. I ummed and ahhed but finally decided to venture off to the Stitches and Craft show. After a battle to find a parking space – that was eventually located in the Southbank car park (due to several shows and a basketball game having taken all the convention centre’s car parks) I finally made it to the show. I really enjoy these events and seeing all the wonderful projects that clever people make. The challenge quilts were exceptional and the projects from the students of textile courses inspiring. I had a chat with Lisa Walton and we planned when we could have her visit Apatchy again. While I was there I also went to the workshop by Gabrielle of Miss Rose and Sister Violet – they of the laces and trims of all things romantic. Gabrielle talked about all the lovely things they use but it wasn’t the pretty fabrics and trims I was inspired by. She talked about the fact that all of us have a creative soul and that when we let it go it sets us free. She talked about how you are in control of your creative life and that you should create things “that make your heart sing”. She talked about how she followed her dreams and how important it is to do that. Maybe the teenager will be a rock star or perhaps not – either way I’m glad he has some dreams to inspire him. Now where’s that thread…. Kaye I am so happy that I am back at Apatchy. Just loved “Dream a little dream” Lorraine. I really loved the young textile designers work……aren’t they amazing! AND those quilts……WOW!